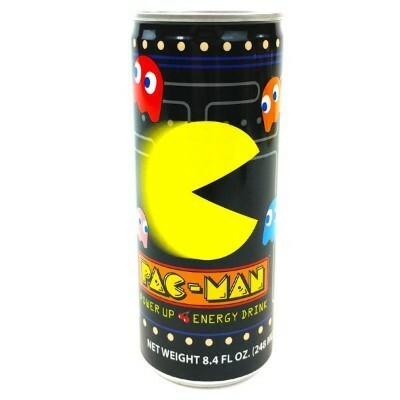 Power up with the Pac-Man Power Up Energy Drink! The energy-boost you need with a classic cherry flavor you love! Inspired by the fruit levels of this arcade classic, this refreshing cherry-flavored energy drink will rush you with the caffeine buzz you need to log a couple more hours playing your favorite 80s video game!